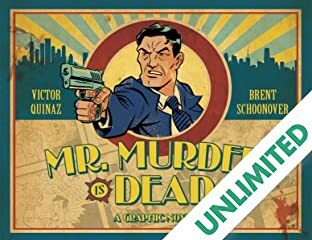 There's been a murder-Mr. Murder is found dead! Old Gould Kane, long into his retirement as a top cop, looks to be the #1 suspect with a motive so deep and intense even Gould's old partner suspects him. But the truth is Gould's the only cop worth a damn to solve the cryptic case. The clues could lead Gould to a new and perhaps even greater profession in his twilight...as a very bad man. Mr. 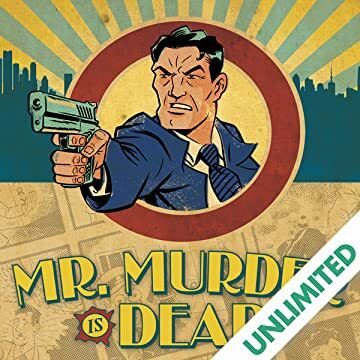 Murder is Dead is a 'who didn't do it' set in the fading world of Golden Age comic strips. A criminal's lament to all things past, present and meaningless. Published in partnership with Zachary Quinto ('Star Trek,' 'Heroes') and Before the Door.